A little sloppier than I'd like, but it was a crazy day in the kitchen. I was definitely intrigued by the nuts and seeds theme this month. I thought of lots of potential ingredients…I do a lot of stuff with almond flour these days, oh but sunflower seeds are Z’s favorite…hmm, but what about poppyseed? No, poppyseed is good, but too obvious. And then I had a Very Original Idea, which morphed into an Even Better Idea, which I am going to attempt as my second entry once I have more butter. But there were compenents that got knocked out by the evolution of the idea, namely salted caramel, and I couldn’t abandon something as awesomely delicious as salted caramel. So I brought in my good friend Mr. Cashew. Mr. Cashew and salt are friends from way back, and the rich smoothness of caramel pairs wonderfully with the almost creamy texture of cashews. And what was going to tie them all together? 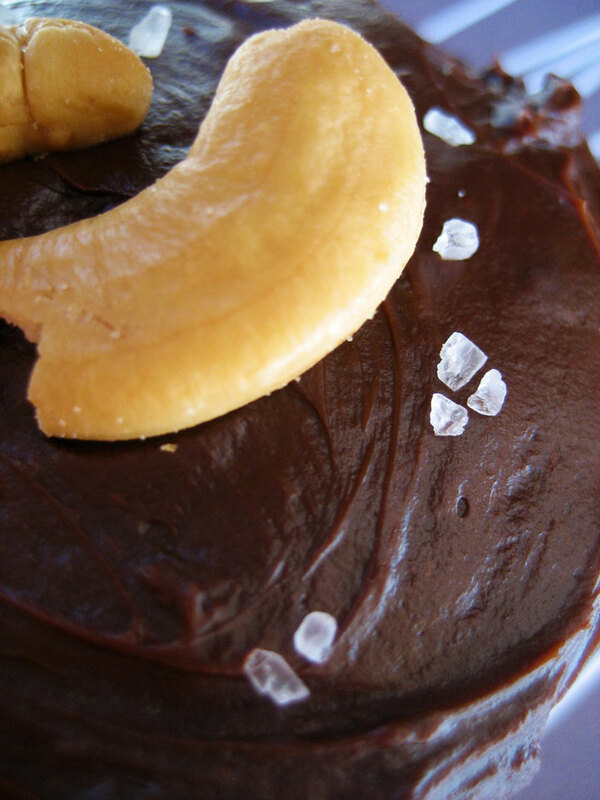 An awesome rich chocolate ganache, that’s what! I wonder what those giant crystals could possibly be? These cupcakes are really, REALLY awesome, and I definitely would make them again. 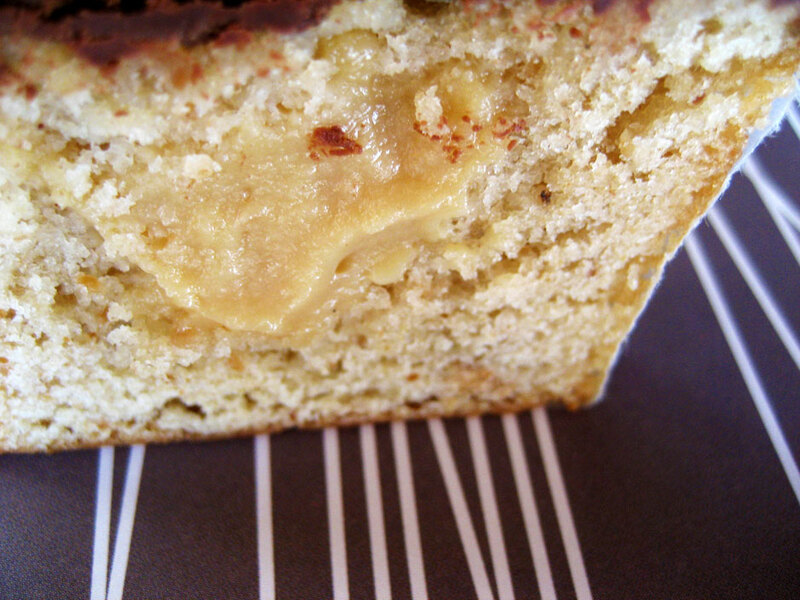 I found a recipe for peanut butter cake – no chocolate, just a cake recipe that had a cup of peanut butter in the batter. Then I tweaked it around and substituted cashew butter (which is not cheap but so much nicer than peanut butter – can you tell I don’t really like peanut butter?) and ended up with sturdy but still mysteriously light-as-air cupcakes. I think beating the cashew butter into the rest of the batter really lightened it up and made it fluffy, and the extra fat the cashew butter added makes the tender cake melt in your mouth. I filled each cake with a generous dollop of caramel pastry cream. I added 1/2 tsp fine sea salt into the batch along with the vanilla and butter and it was soooo good. Seriously, it was hard to keep myself from just eating the warm salted caramel cream with a spoon before I got the plastic on it. After plugging up the little holes in the tops of the cupcakes, I spread a rich chocolate ganache on top of them – if I hadn’t gotten confused and made the ganache too soon, I would have tried dipping the cupcakes, but the spreading went relatively well even after the ganache stiffened more than I wanted it to. And then I topped them with whole salted cashews and a sprinkling of crunchy, awesome coarse sea salt. One cashew was not enough. They were lonely! In a stand mixer, cream butter and sugar together. Add the eggs one at a time, making sure they are thoroughly blended, then add the vanilla. Sift together the dry ingredients and alternately add dry and wet to the batter. Once everything is well blended, add the cashew butter and beat on medium-high until completely mixed and light and fluffy. Bake in a preheated oven at 350 for 12-15 min. Combine water and all but 2 Tbsp of the sugar in a heavy medium saucepan. Bring to a boil for 8-10 minutes, until dark and caramelized but not burned. While the syrup is boiling, prepare an ice water bath. Once the sugar is caramelized, dunk the bottom of the saucepan in the ice water to stop the cooking. Remove from the bath and slowly stir in the milk. Don’t freak out if your caramel totally seizes – the next step is to simmer over low heat until smooth, and it may take a while but all the hardened caramel will totally melt, I promise! Just stir gently until it’s smooth and darkened from the caramel. In the meantime, whisk together the cornstarch and 2 Tbsp sugar, then whisk in the egg and yolks. Increase the heat on the caramel mixture to medium and simmer, then pour into the egg mixture in one long, slow stream, whisking constantly. Return to the saucepan and cook over medium for a couple of minutes, whisking the whole time, until the mixture thickens and just begins to boil. Immediately strain it into a bowl and stir in the butter, salt and vanilla. Cover with plastic wrap pressed down onto the surface with a couple holes punched in it to vent the steam, like you would for a curd. Place in refrigerator and use once cooled. Combine the cream and sugar in a saucepan and barely bring to a boil. Immediately pour it over the chocolate and whisk until completely smooth. Stir in the butter. If you do this right before you want to frost the cupcakes, you can dip the tops of the cupcakes in. If it sets up a little bit, you can still spread it with a knife, or pipe it. Cut a cone out of each cupcake and fill the resulting hole with the pastry cream. Trim the cone and replace just the top. 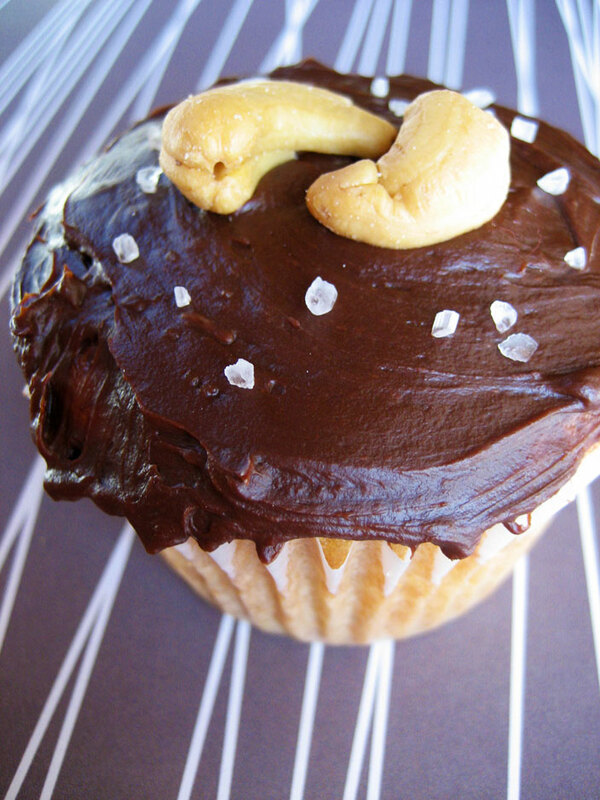 Frost with ganache and decorate each cupcake with whole cashews and a sprinkling of coarse salt. Voting isn’t open until the end of the month, but once it is you can go vote for these here. 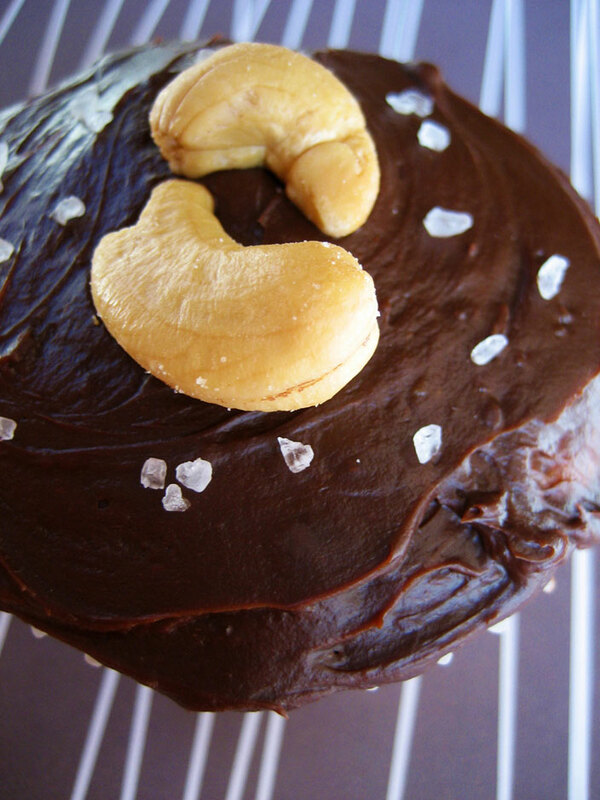 Cashews and salted caramel pc with chocolate ganache? Mouth watering! Have to try these, as they not only sound marvelous, they look incredible! Mmmmm–those sound really great! Love your sprinkle of coarse salt. I bet if you made some dark caramel, added cream and then mixed it w/bittersweet chocolate that would give you a pretty mean choc/caramel ganache to play with. Add some salt to it, and it’d be good to go:) Never tried it–it’s just a thought. Yeah the caramel cream would not have made it onto the cupcakes. Not one bit! The entire thing sounds amazing. all other ideas threw out from your brainstorming are awesome enough, but this cashew is truely over-the-top, bravo! 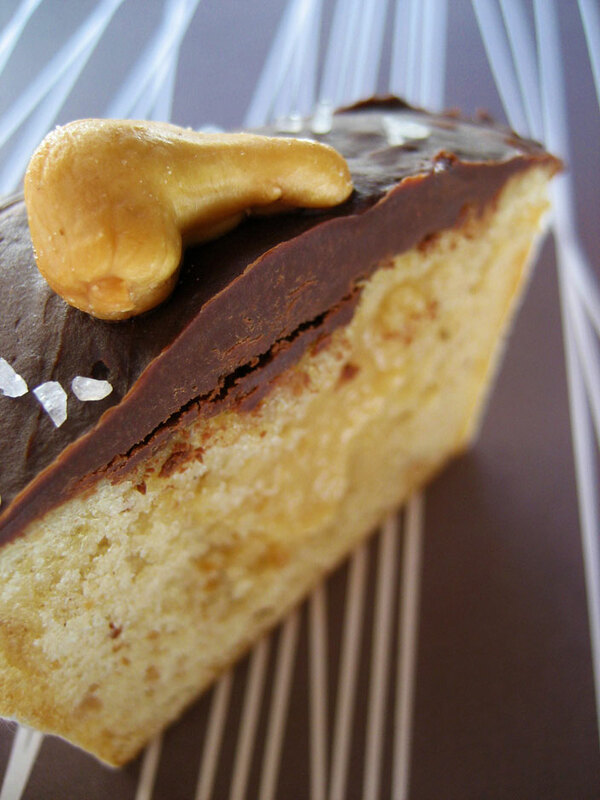 I love the cashew (salty) on top of the cupcake…great pictures! Just look so rich and deliciously yummy! The surprise in the middle has my mouth watering. OMG.